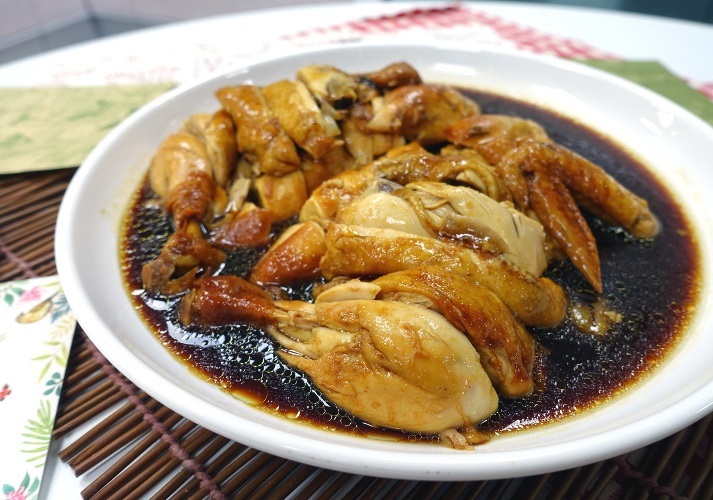 Simple yummy one-pot chicken recipe using Song-Cho SC-FD18F2 1.8L Rice Cooker! Mix ginger slices, spring onion with seasoning, marinate the chicken for an hour. Staff half the ginger slices and spring onion into the chicken. Add the remaining ginger slices and spring onion into the rice cooker, place the marinated chicken on top of the ingredients and pour sauces over the chicken. Close the lid. Select SOUP function and press START (hold for 2 seconds), it takes an hour to complete the cooking program. When the cooking process is completed, remove the chicken, chop into chunks and drizzle with the sauce, serve with rice.